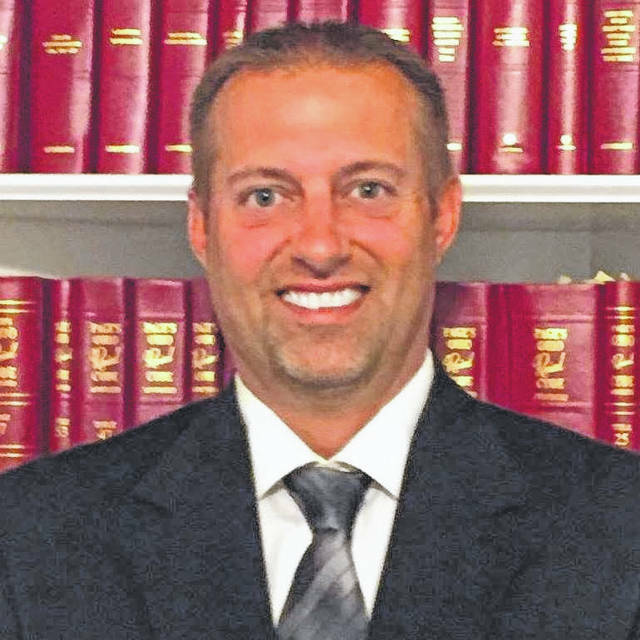 POMEROY — Trenton Cleland is one of two candidates for Meigs County Court Judge. My name is Trenton J. Cleland, the third of four sons born to Henry E. Cleland and Kathy M. Cleland. I have one son, Asa with Megan Cleland, daughter of Carl Wolfe and the late Suzanne Bradbury-Sayre. I graduated from Southern Local High School in 1994. I graduated from the University of Rio Grande in 1999. I began law school that fall at Ohio Northern University and graduated with a J.D. from the Claude W. Pettit College of Law in 2002. Upon graduating law school, I moved to Polk County, Florida, and began my legal career as an assistant prosecutor for the 10th Judicial Circuit. I prosecuted thousands of misdemeanor cases before moving on to do felony prosecutions. After being a full time prosecutor for three years, I started in private practice for the Peterson P.A. Law Firm. After just over five years, I moved home to Meigs County. Once here, I opened my law office, where I spend my time handling criminal defense cases as well as probate/estate work, divorces/custody cases, general real estate work and some personal injury cases. In my career, I have prosecuted or defended in over 30 jury trials. In the fall of 2015, I was asked to become a part time assistance prosecutor handling misdemeanors for Meigs County Court. I held that position for over two years before deciding to run for County Court Judge. I have wanted to be the Meigs County Court Judge since 2000 when I was a legal intern in Meigs County. This is when I observed the Meigs County Court in operation for the first time. I knew right then that I wanted to the Meigs County Court Judge to help the citizens of Meigs County. With a common sense approach, this position can punish the criminal which still being able to rehabilitate those in need. Currently, Meigs County Court has all pre-trial hearings (civil and criminal) on the same day. I propose to have separate days devoted to criminal cases and a full day to small claims and evictions. This will allow all cases ample time to be heard. Currently there is not probation department. Therefore, there are no consequences for breaking probation. I also propose to create an active probation department. This must be done! This department will go out into the community and check on probationers, making sure they are working and drug free via drug screens. I will use the available video arraignment system to help alleviate the burden on our law enforcement transporting prisoners to an from their arraignments. I will, additionally, bring back warrant round-up days. I plan to publish the individuals who have outstanding warrants in the paper. I will have a day set for them to turn themselves in, and I, as Judge will be available all day to process those who came in and those arrested. I also propose to update the house arrest system. The system currently in place is an outdated system monitored by an outside company that sends an email if a violation occurs. The system I propose has active satellite monitoring via the internet. This is the same system used in the other courts in Meigs County. These are the reasons that I am running and these are things that must be done to make Meigs County Court a success.